I want to personally thank you for stopping by and taking a look at my portfolio. 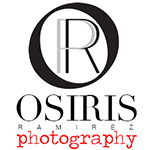 My name is Osiris and I am a self taught photographer videographer that has a thirst to create. I have Directed, Produced and Edited all my content. Nothing pleases me more than creating campaigns from concept birth to completed project. I am avaiable for cinematography, corporate video and photo, concept creation, art direction, director of photography for films and producer. I respect and love all aspects of Photography and Video- the creative challenge, the different moods an image can create and the little nuances that make the difference. I work out of Miami, Florida and can be booked to travel anywhere needed. With a firm grip on the little nuances that make an image pop, I seek to capture ones attention. Whether you are trying to start a modeling career, add to your portfolio, create a buzz or a business looking to market. Personal branding is one of the most important aspects in this generation, I look forward to helping you stand out in the crowd. Please click here to contact me for any inquiries and I will be more than happy to send you a quote. God bless and I look forward to hearing from you.